Advertising and digital marketing platform Zooppa partners with brands and agencies to create crowd-sourced commercials. Only three and a half years out of film school, Landon Donoho has produced commercials for Sony's PlayStation 4, Toyota, Gatorade and Disney. The Atlanta filmmaker's impressive résumé was built up from posting winning entries on Zooppa, an advertising and digital marketing platform that sets up competitions to uncover new talent and save its clients hundreds of thousands of dollars. "I didn't have to pay my dues, build a network of connections with agencies or move to New York or L.A.," Donoho says. "With these competitions, I can look at the creative brief posted on Zooppa, decide if I like the company, product or concept, and if I do, then take a week to go from concept to shooting to editing--using nothing more than my DSLR camera and computer." 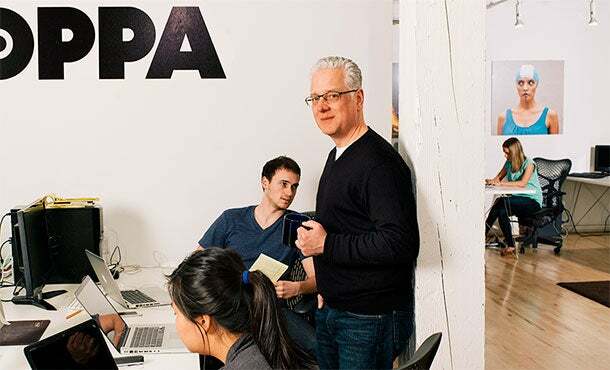 Donoho's passion gets to the root of Zooppa's success with clients that range from behemoths like Procter & Gamble and Unilever to smaller, niche products such as Jones Soda. Because of Zooppa's competitive aspect, it's the clients' true fans who are submitting the ads. "It's self-selecting," says Zooppa founder and CEO Wil Merritt. "And in the end, a client may get 100 videos and stories that they can not only use, but also provides them with a powerful survey that actually shows them how their brand or product is perceived in the market." For setting up and managing a contest, the Seattle-based company charges a $50,000 flat fee (though this can vary based on the needs of the campaign); a prize pool--typically for up to 10 winning submissions--costs extra. Merritt claims that the sweet spot for a prize is $25,000 to $50,000 per campaign--a hefty sum, "but not when you consider that the average production price for a single TV commercial runs $350,000 in the U.S.," he says. "For less than $100,000 you could get hundreds of videos and graphics to use on YouTube, in internal marketing presentations or as part of point-of-sale or trade-show displays, instead of one TV spot that may or may not work." That's because the client retains the rights to all the submissions, not just the winning entries. Zooppa-sourced clips have even made it to the Super Bowl. Zooppa's Wil Merritt and team. A Pizza Hut campaign built around football fans yelling "Hut! Hut! Hut!" pulled in more than 500 submissions; a mash-up of the clips became the pizza-maker's ad during the 2013 game. Since its launch in 2008, Zooppa has expanded to a staff of 20. While Merritt won't reveal revenue, he shares that in the beginning, the average cost for a campaign was $5,000, but now it's $70,000. Part of this growth comes from adding brand-name clients such as Bud Light and Chevron, but it also comes from his staff's ability to design and present contests that bring out the best ideas from Zooppa's community of roughly 240,000 filmmakers and designers around the world. "Oddly enough, the tighter and more constricting the creative brief, the more imaginative the results," he says. "Creatives seem to like boundaries." Filmmaker Donoho points out that Zooppa's contest format guidelines make it easy for newbies to break into the business on their own terms. "Contests give me complete creative control over a project that I want to work on," he says. "I couldn't do that if I was buried in some agency in New York." CrowdComfort gathers data from building tenants and office dwellers to determine their collective comfort level, converting feedback on heating, cooling and other environmental factors to improve conditions and help property owners identify potential maintenance issues, as well as energy- and operational-saving opportunities. Crowdfynd lets users post and browse listings of lost-and-found items as well as reports of suspicious activity; monetary rewards encourage finders to return lost items. Led by former executives from iRobot's Roomba team, Dragon Innovation has added crowdfunding to its services for launching innovative hardware products. In addition to design review and prep for fundraising campaigns, the company advises on scalability, marketing and taking products from prototype to high-volume manufacturing. The Estimize community consists of thousands of analysts, portfolio managers and traders, all of whom provide consensus on stocks and alerts on earnings forecasts. The platform claims to be more accurate than Wall Street projections 69.5 percent of the time. Tiltor aims to influence crowds. Its platform seeks to quell riots and other violent behavior from within the mob itself by sending users messages from event organizers, local businesses and law-enforcement officials, and distributing location-based rewards if the throng splinters soon after. Ubertesters charges developers $20 per hour for each crowdsourced person who tests an app in beta form. The company produces a single, robust reporting screen that makes it easier for developers to see what works--and what doesn't. Arcbazar's online marketplace allows clients to post architectural, interior design and landscaping projects, no matter how small, and have designers compete to produce the plan of their dreams. The Dandy community envisions, votes on and develops mobile apps, paying everyone involved a cut of sales based on how much they contribute to the app's creation. KarmaKrowd helps crowdfunded project starters file provisional patents prior to revealing their ideas to consumers. The site also helps entrepreneurs do proper diligence on existing patents before their campaigns go live.